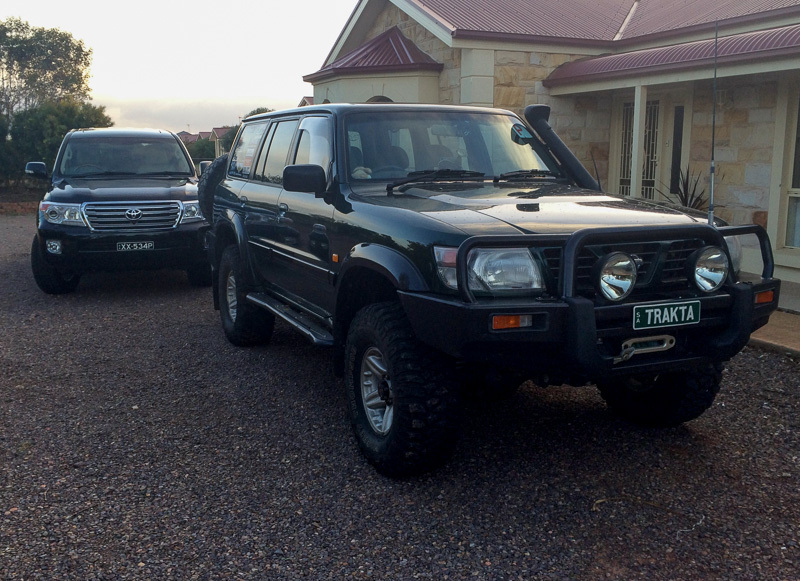 After owning our Patrol for 15 years and nearly 200,000kms (198,809 on the weekend) we’ve finally bought a new 4×4. 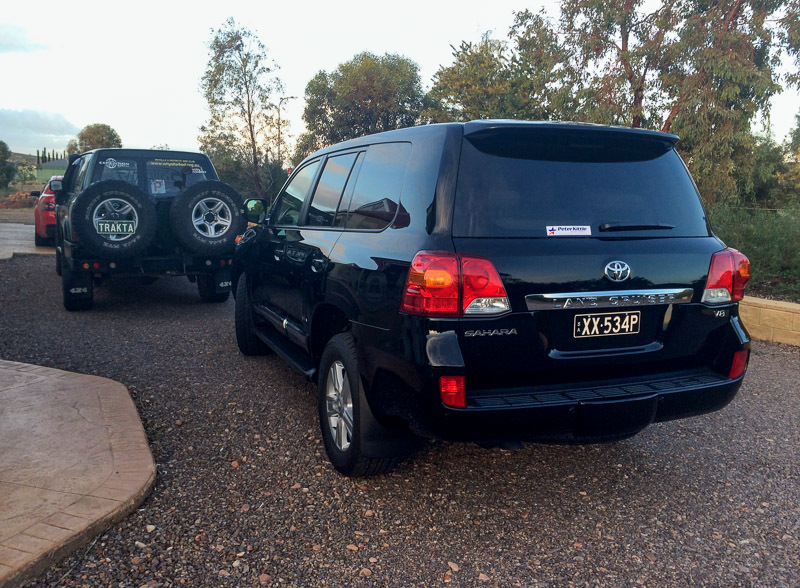 We picked it up early in July from Mark at Peter Kittle Toyota here in Whyalla. We’re still keeping the Patrol, as can be seen with the P plates, its on loan to no.1 son. Look forward to learning a lot about this new toy and all the bloody annoying bells and whistles! Cant find the little gearstick. May have to read the manual. 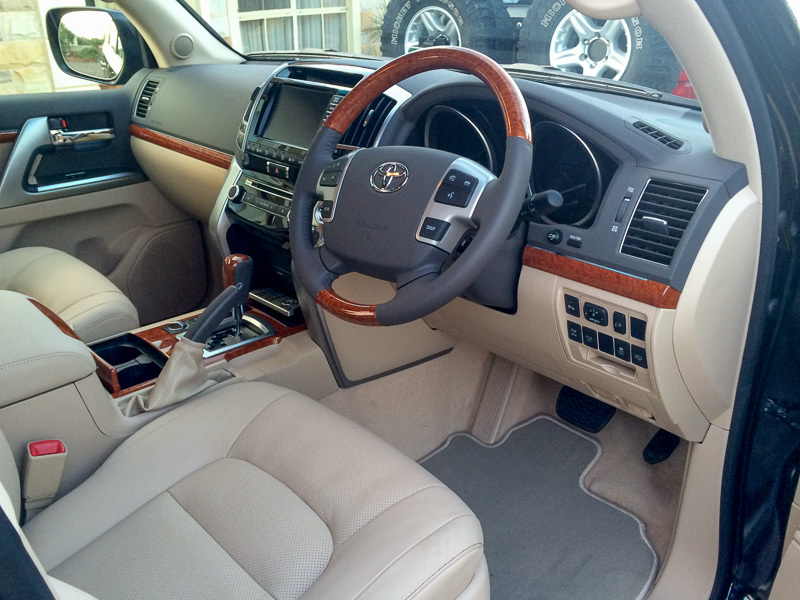 Have had plenty of comments and surprise over us getting a black 4WD with beige leather interior. Black should (hopefully) remain scratch free as its going to be a daily driver/tourer/caravan tow vehicle. The Patrol will be the play vehicle. We went with the beige interior because the black interior was, for us, too dark and sombre. The beige is only available with two whites (every second vehicle here is a white Toyota, with hi-vis stripes), the two blacks and the gold. Mate has a gold/beige Sahara so that was out too. I would have the Merlot Red but Toyota wont do beige, even as an order. Our GQ Patrol was black & grey, we’ve had a black Clubsport and of course the GU is dark green so we already know about them looking dirty and scratching. Hopefully we can at least keep the bush pinstriping to a minimum. It will do the offroad things eventually but probably not until it gets new tyres. No hurry…although there is that High Country trip after xmas. Installed a pair of factory roof bars on the weekend. Have only left the mounts on the roof with cover plates on and decided they look ugly. Off to eBay to find roof rails and cross bars. Also, had the dealer fit the tow pack loom last week. Caravan brake controller to be fitted this week, ready for a weekend at Wilpena. At this stage it’s ticked over 2,000kms and so far we love it. 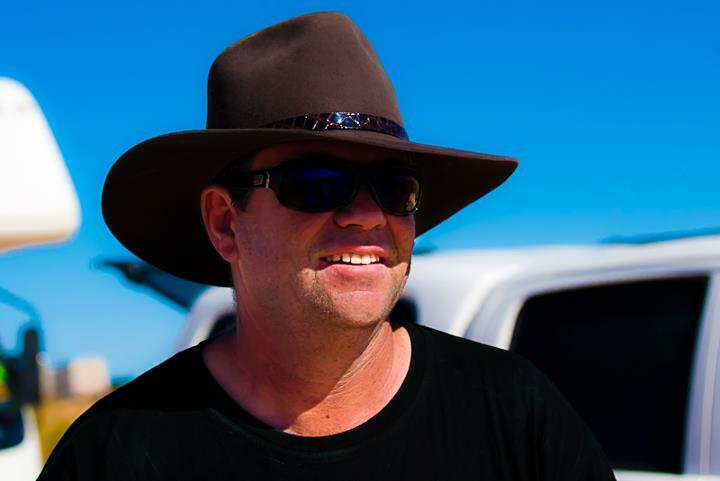 “Have only just bought the Landcruiser so it hasn’t been off-road yet. On paper the 200 wins hands down, as it should. It’s 15 years and several generations newer. The Patrol claws back some points via a 4″ lift, lockers, live axles and 35″ muds. I guess the great unknown is longevity and reliability. The Patrol has a bulletproof driveline, the TD42T is a reliable hard working slug and the only electronics in the thing is the CD player. 15 years and 200,000kms of use and it’s never broken down, broken anything or cost us anything but maintenance and accessories. It can be home serviced and can run on the crappiest quality diesel. Yep Wayne, gone to the dark side. Just have one of each now! I am looking at a 70 Series for the farm at the end of the year. The patrol is starting to show some signs of wear after 460,000 k’s and a station wagon is totally useless as a farm vehicle. In saying that, the bugger still starts every time and can run at 110k/h on freeways. Its never let me down. GU Patrol utes are like hen’s teeth around here, those who own them esp with a Turbo 4.2 wont let go of them. That’s a big change, for someone who’s had a Patrol for so long! These are great cars; there are heaps around and plenty of happy people. I hope it serves you well!